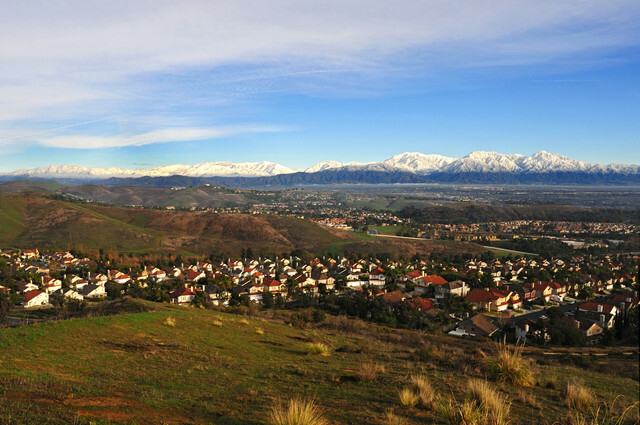 "Chino Hills is viewed as one of the top cities in California. I will always work to keep our city safe, family-friendly and vibrant." Our town has developed a reputation as a highly desirable place to live. Why? The beauty of the natural surroundings blended with the family-friendly environment is hard to beat. The natural rugged environment draws us here and our neighbors keep us here. In what other city does a stop at a traffic signal turn into a social event? Chino Hills currently boasts 44 parks, 48 miles of hiking trails, and an incredible 3,000 acres of open space that will NEVER be touched. Combine all of that with a high average household income of $122,550 (2016), high property values, great schools with high test scores, and an excellent community safety record (we are consistently ranked one of the safest cities in the state and nation!) and it’s no surprise that Money Magazine named Chino Hills the 34th most desirable city on it's list of America’s Most Desirable Places to Live in 2014. Council members and city managers from surrounding communities admire our stability and success; they can’t believe how far we have come in just 26 years. 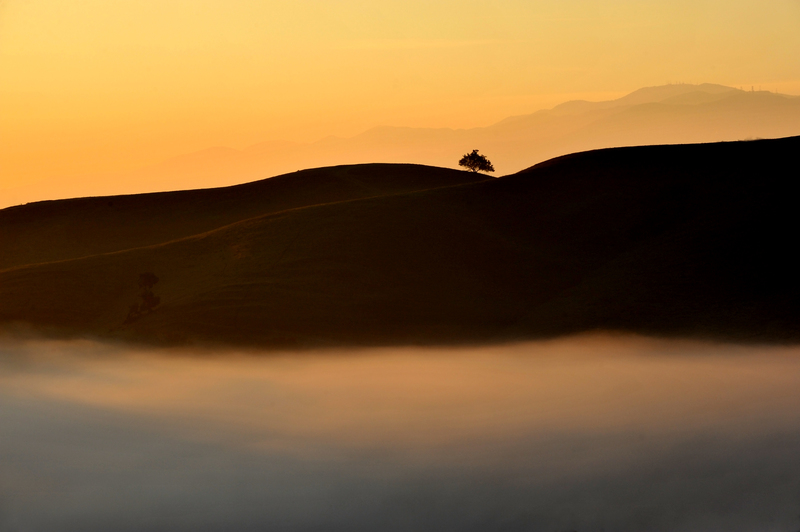 In short, Chino Hills is a fantastic city with a lot to brag about! Now, how do we keep it that way? The current city council is forward thinking, yet realistic about community needs. 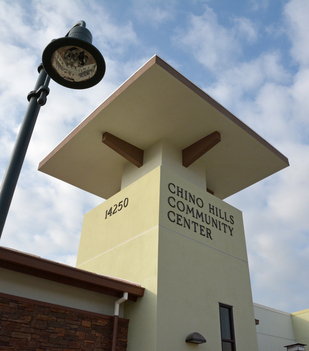 The council is very aware of the future needs of Chino Hills; whether it be retail, housing, or recreation. We aim to strike a balance and always look to enhance our thriving city. To that end, we continue to add recreation programs, facilities and housing product where appropriate. To keep our residents closer to home, we assist shopping centers in bringing in new opportunities where possible and attempt to retain what is already in town. It's a balancing act driven by the economy, online shipping and existing retail in neighboring cities. All of the above helps this young city round out to a community that has a broad base to hopefully satisfy our residents needs. A few recent newly added city amenities include: in February of 2014 we completed a beautiful 17,000 sq ft Community Center across from Ayala HS; in December of 2016, we added Vila Borba Park off of Butterfield Ranch Rd...which includes one of the best dog parks in the region; and in the summer of 2017, the city opened the 14 acre Pinehurst Park. We are finally able to add Los Serranos Park to our family of parks in 2019. Teamwork - As we all know, to be a successful team, all the moving parts need to be in sync. It's an even stronger team when different skill sets are blended together to work towards a successful conclusion. 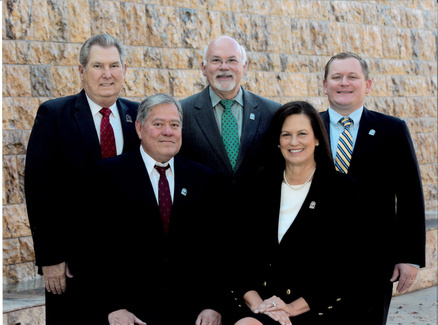 Our current team of five council members is a very strong one! We are all very proactive in the community and conscientious of our role as leaders and community advocates. We are always out and about around town willing to meet or discuss any issue. It’s important that we recognize and sustain the thoughtful leadership and programs that got us to our place of distinction. Historically, the excellent leadership provided by Jim Thalman, Mike Wickman, Gary Larson, Gwenn Norton-Perry, Ed Graham, Bill Kruger, Curt Hagman, Art Bennett, Cynthia Moran, Ray Marquez and now Brian Johsz, along with the hard work, planning, and thoughful input provided by an awesome city staff and city commissioners has been our recipe for success. Additionally, the constant and significant input from the community and its many volunteers and a high focus on quality are the secret ingredients that puts Chino Hills on top and keeps us on top. Development - We are a young city (26 years old) that is still growing. As a city, we are a product of our own success; people want to live in Chino Hills! After a six year construction hiatus (2008-2014), the economy has significantly improved and more homes, apartments and retail are now being built within our city limits (and throughout SoCal for that matter). Some housing projects in town were approved by SB County more than 26 years ago, before we became a City. Any project approved during those County days are grandfathered projects that have the right to move forward. They don't have to pass through the city council again, except for architectural and design elements. Additional housing and retail projects were approved by the City many years ago, but the tanking economy stopped those projects. Now, many of those projects have come forward due to the rebounded economy and great Chino Hills reputation. I am not a big advocate for huge home and apartment complexes, but I am a realist; within our city is developer owned land and those land owners now wish to maximize their interests. There are certain areas in the city that have historically dodged significant development, be it housing or commercial and these unbuilt parcels are now the focus of developers. If you lived in Chino Hills in the 80's and 90's, the same development trend took place at that time, but mostly in the center and northern portions of the city. Our city council will continue to be proactive in reviewing housing and commercial projects as they come along, carefully reviewing each one on its own merits and it's legal ability to build. I am committed to maintaining responsible development policies that further enhance our already fresh and vibrant community. Gazing into the Future - Look East of Us. In the master plan for our city, I am told there are approximately 2500 units that can still be built in various locations in the City. I know that is a lot, but just think, Ontario has a master plan called New Colonies that may allow up to 30,000 housing units to be built. And in Chino, I have heard different numbers, but 5-7,000 remaining units seems to ring a bell. With the popularity of SoCal, the housing shortage and a strong economy....don't be surprised if a strong building trend continues to our East. I am now in my 12th year on city council (elected in Nov. 2006)...and I have found that there is nothing more valuable in a leadership role than experience. 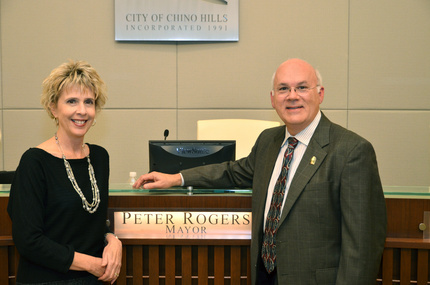 In my third year on city council (2009), I was fortunate to be named Mayor of Chino Hills. I felt it was a good, rewarding year...full of wonderful experience and accomplishments. I was again named mayor in 2013...and I decided to "go for it". I had a list of issues to tackle a mile long. Here are a few of those issues that the city council tackled that year: the Maternity Hotel issue (really, just a code enforcement issue), the Denton family property issue, refocus efforts to resolve the decades-long property encroachment issue, the long-delayed equestrian overlay zoning, TRTP under grounding, completion of the first city Community Center, start to formulate a new animal care contract to include a partnership with Priceless Pets and eventually a No-Kill or "Getting to Zero" animal environment, started the communities first arts committee in Chino Hills called chARTS, visited 19 Chino Hills schools to discuss city history and city government, continue to prioritize city communication to its fullest potential with the press and our residents, integrate into city government two new council members and continue to balance the budget. Then there was the Edison transmission line issue. That ramped up to fever pitch and concluded in 2013. Then throw in an unexpected search for a new city manager....and 2013 was one busy year. The biggest effort: develop an amnesty program for property encroachment; the biggest euphoria: the TRTP decision on July 11, 2013!!! 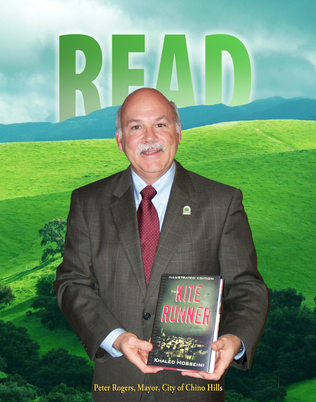 I am now in my third term as Mayor of Chino Hills. Issues such as the City of Industry proposed solar field, traffic through Carbon Canyon and lax state laws for crime enforcement are on the top of tour action list in 2018. Let's see how these issues and more unfold! within the newly formed District # 2. (Please see the Distracting Page on this website for maps.) As I am writing this, the deadline has passed and no one filed their official papers to run against me in the November election. Who I thought was going to be my main opposition just decided to move to another district in town. So although I am unopposed, I will post some election signs (not too many) around District 2 and run a few ads in the paper to ensure you know I am not taking this for granted! Being forced to focus on a specific region of the city will be a unique experience for myself and all of us on city council...but I can assure you that my heart and actions will be focused on the whole city, as it has been for almost 12 years. Many have said I began my tenure on the Chino Hills City Council as having the most community experience of anyone to have served on our city council. That may be true, but think of the experience I have gained in the almost twelve years....including 2009, 2013 and now 2018 as your mayor. I am dedicated to the job, having missed only three (3) city council meetings out of 245+ meetings during my tenure. I am totally engaged on numerous boards and committees...attending 100's of meetings a year. I give back to the community with my involvement with the Chino Hills Community Foundation, the Chino Hills Arts Committee (chARTS), Let It Be Foundation, Caring for the Hills, Special Olympics, Rotary Int'l and more. I vow to continue to effectively listen, respond to residents needs and act on behalf of the great City of Chino Hills. My track record is my proof. Peter Rogers has lived in southern California his whole life. He was raised in Covina and attended Damien High School in La Verne. Peter graduated with a Bachelor's Degree in Communications from Cal Poly Pomona, with additional studies at Art Center College of Design in Pasadena. Professionally, Peter is a small business owner. His Chino Hills-based company, Peter Rogers Photography, serves the advertising and public relations needs of many major corporations. His 35+ years in the photography business have included assignments throughout the United States and 24 foreign countries. This experience has given him a unique and valuable perspective of many diverse environments and cultures. Prior to self-employment, Peter worked for 10 years as photography supervisor for Santa Fe Int’l, a large engineering, construction and oil company based in Alhambra, CA. Also, during a 10 year period from 1996-2006, Peter served as the part-time President and CEO of Phoenix Energy, an investor-owned oil production company based in Santa Maria, California. 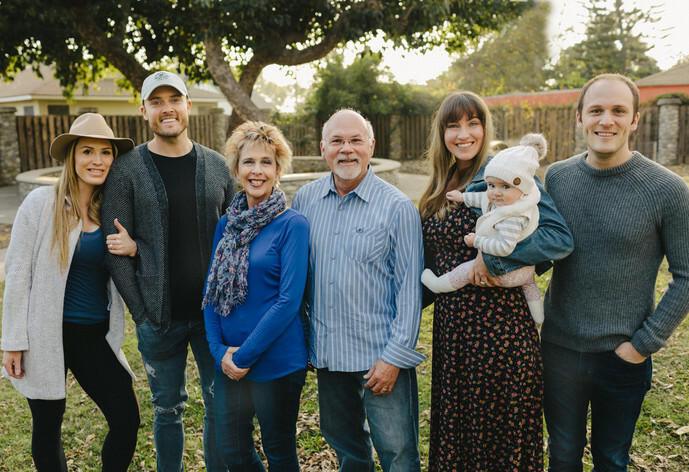 A recent change of direction in Peter's work career happened in December 2016 when County Supervisor Curt Hagman asked Peter to be his District Director for the Fourth District office in Chino Hills. Peter works part-time for Curt helping direct the Hagman Team in servicing the constituents of the Fourth District of San Bernardino County. 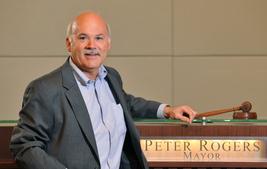 Peter was elected to the Chino Hills City Council in November of 2006 and was selected to serve as city mayor by his colleagues in 2009, 2013 and now in 2018 and vice mayor in 2008, 2012 and 2017. 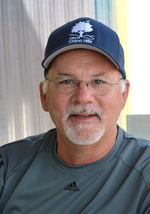 He has been an active volunteer and participant in the community for 29 years. He was recognized as the City's Highlighted Volunteer in December of 1999 and was named Chino Hills Community Hero in 2002. Peter served as a member of the City's Parks and Recreation Commission from 1998 - 2006, including multiple terms as Chair and Vice Chair. 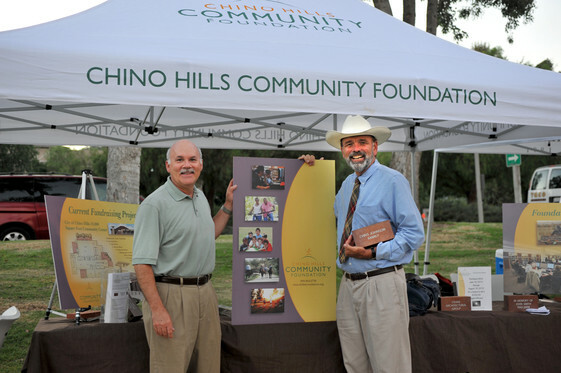 In 2008, Peter helped form and lead the Chino Hills Community Foundation and in 2013, Peter formed the Chino Hills Arts Committee (chARTS) to highlight the Arts in the Hills. In the summer of 2015, Peter brought the Special Olympics World Games to Chino Hills after agreeing to spearhead the local Host Town efforts where the city hosted Poland and Laos. Peter and his wife Merry have lived in Chino Hills since 1986. Their sons, Christopher and Kevin attended Chino Valley Unified schools and have since graduated from college and have their own successful careers. Kevin and his wife Angela brought into the world daughter Olive in 2017. Son Chris is engaged to Ashley to be married. Like many other residents, the Rogers are thankful to live in such a peaceful, safe, diverse and family-oriented community. They love Chino Hills! !